Tony’s Restaurant is Pahrump’s latest local diner, serving the best food in the area. To celebrate our opening, we wanted to help you get to know us, and what better way to do that than to show you some of the reasons why we’re pretty great. When you’re in a group who can’t decide between American, Chinese, Mexican, or Italian food, it can be a real drag when you’re trying to pick a restaurant. Time to go fusion. Tony’s serves all of the above, with an incredible, eclectic menu that has a little bit of everything. Next time you’re in a group that can’t decide between pasta, tacos, or burgers we’ve got you! Many places are getting away from kids’ menus, forcing parents to pay full price for full plates of food that your kids aren’t remotely interested in. We have some great choices for your young ones with foods they’ll actually eat. Try the chicken tenders, a mini cheeseburger, a grilled cheese sandwich, or one of our other kids’ menu items! Have you been traveling all day? Are you pretty sure you could eat a horse you’re so hungry? We have super quick appetizers that will give you a pre-meal treat. Whether you want something light like chips & salsa, or are craving something more substantial like baby back ribs, we have all sorts of appetizers that can be ready in minutes. Dessert is one of the best parts of the meal, isn’t it? We’d be remiss if we didn’t include some of your dessert favorites. Try our amazing apple pie or one of our delicious ice cream flavors. Or if you want to get in touch with your inner kid, try the cookie & ice cream. Whether you’re just starting your day or are coming to us after a long night, hit us up for some awesome breakfast choices. You can’t go wrong with biscuits & gravy or huevos rancheros, and our waffles and buttermilk pancakes are seriously out of this world. For something more filling, our skillets have the freshest, most delicious ingredients, and are the perfect start to your day. Our omelets are definitely worth writing home about, whether you want it loaded or a healthier veggie option. Founder Tony Nunez has been in the restaurant business for over 30 years and has been part of the fine-dining scene in Las Vegas’ most famous hotels. You might not know that he’s also cooked for Pope John Paul II, which was an incredible privilege. Now he’s dedicated to the food scene in Pahrump and uses locally sourced ingredients that are fresh and delectable. 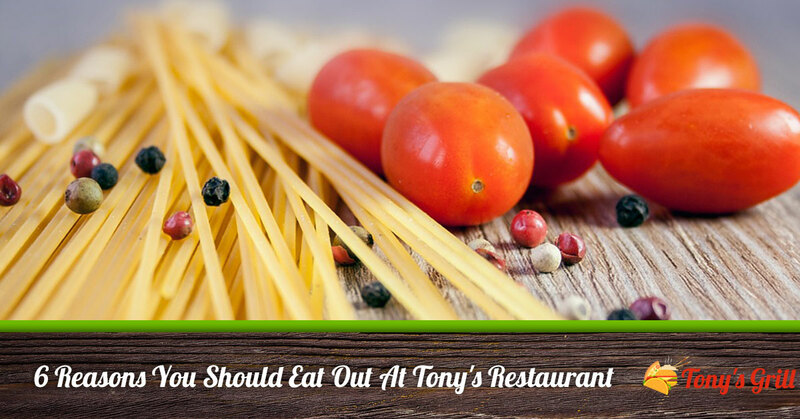 Stop by Tony’s Restaurant today for a one-stop dining experience. We’ve got a large selection of foods guaranteed to make everyone happy, and are looking forward to having you. Come see us at 2610 North Blagg Road now!